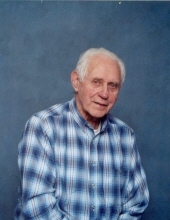 Mr. Fred Horton, age 97, of Raven, VA passed away Thursday, September 13, 2018 at his home. Born September 25, 1920, he was the son of the late Christopher and Grace Horton. He was of the Holiness Faith, having attended many local churches, and he loved the Lord first followed by his family. Fred was the last surviving member of his immediate family. In addition to his parents, he was preceded in death by his wife of 77 years, Thelma Horton; seven brothers, Emory, Otis, Grat, Carl, Woodson, Britton, and Jack Horton; son-in-law, Mike Roberts; one granddaughter, Maratha Handy; one great-great granddaughter, Maddie Woodard. Those left to cherish his memory is one son, Tommy Horton and wife Shirley of Smithfield, VA; three daughters, Ann Roberts of Martinsville, VA, Nila Stilwell and husband Albert of Raven, VA, Becky Childress and husband Allen of Richlands, VA; 14 grandchildren, 30 great-grandchildren, 7 great-great grandchildren; many nieces, nephews, cousins, and a host of church family and friends also survive. The family will receive friends from 1-3 p.m. Sunday, September 16, 2018 at Singleton Funeral Service in Cedar Bluff, VA.
Funeral Services will be conducted at 3 p.m. Sunday at the Singleton Funeral Service Chapel in Cedar Bluff, VA with Rev. Tim Lester, Rev. Phillip Horton, Rev. Don Smith, and Rev. Phillip Deane officiating. Graveside Service will be conducted at 11 a.m. Monday, September 17 at Greenhills Memory Gardens in Claypool Hill, VA with Rev. Bill Preskitt officiating. Grandsons and Grandsons-in-law will serve as Pallbearers. Those wishing to attend the Graveside Service please meet at the cemetery. Online condolences may be sent to the family by going to www.SingletonFuneralService.com. Singleton Funeral Service is serving the family of Mr. Fred Horton. To send flowers or a remembrance gift to the family of Fred Horton, please visit our Tribute Store. "Email Address" would like to share the life celebration of Fred Horton. Click on the "link" to go to share a favorite memory or leave a condolence message for the family.